Coach has just bagged itself a deal. The luxury handbag maker has announced plans to buy competitor Kate Spade in a deal worth $2.4 billion. Coach (COH) will pay $18.50 in cash for each Kate Spade share -- an increase of nearly 30% from where the stock was trading prior to rumors of a sale. Coach said it expects the transaction to close by the end of the third quarter. It plans to preserve Kate Spade's (KATE) "brand independence" and retain key staff. Mickey Chadha, an analyst at Moody's, said the purchase is the latest effort by Coach to "broaden its customer base to a younger, trendier millennial shopper." 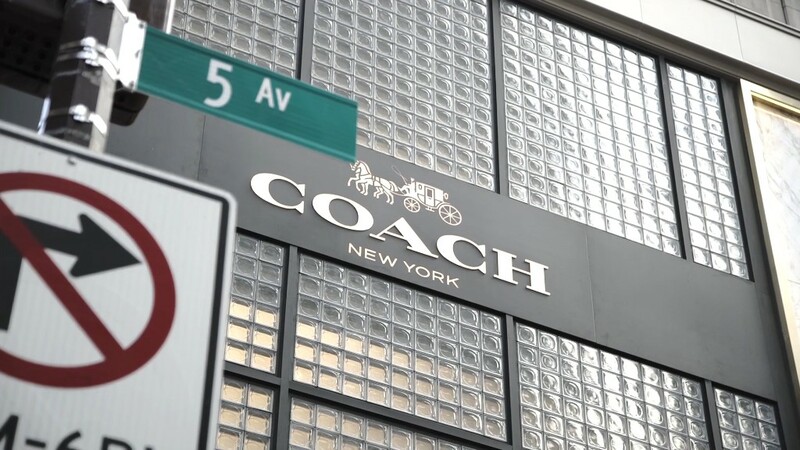 Coach said it expects to eventually generate $50 million in annual savings by combining the firms' inventory management and supply chains. That should help boost profitability, but it's bad news for purse-loving bargain hunters. Coach chief financial officer Kevin Wills said the cost savings will allow Kate Spade to have fewer "online flash sales," a change that would help bolster the brand's image as maker of true luxury products. Coach and Kate Spade make most of their money in the U.S., but both have been working to expand their international presence. Coach sales hit a peak during its heyday in 2013, but the brand lost some of its luster and revenue slumped in 2014 and 2015. The company is now working to turn things around. In May of last year, Coach splashed out on popular shoe maker Stuart Weitzman. Kate Spade has also seen better days. Its shares hit a three-year low in December before takeover rumors began to swirl.